Add an additional attraction for a flat rate of $30. Add both additional attractions for a flat rate of $50! You may also purchase pizza and soda for anyone else who may decide to stay for your event. 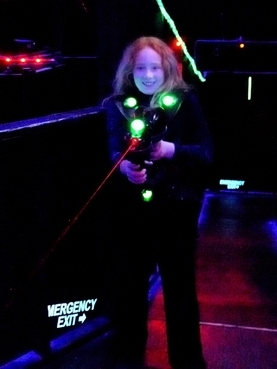 We make our own pizza here at Laser One, so you do not need to decide until your party goes in for their first game of laser tag. $325 up to 8 children, $32.50 per additional child.